Ana Amari is one of the new heroes that will be introduced into Overwatch very soon! Check out her abilities and backstory here! The wait is partially over as Blizzard has announced the first of a set of new heroes that will be coming to their FPS game, Overwatch. 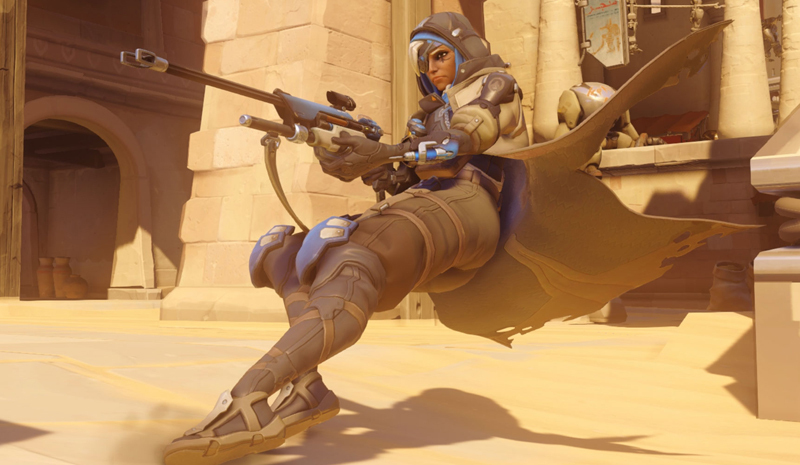 Ana Amari is one of four new heroes that will be introduced into the game, and her announcement came with the most recent balance patch. 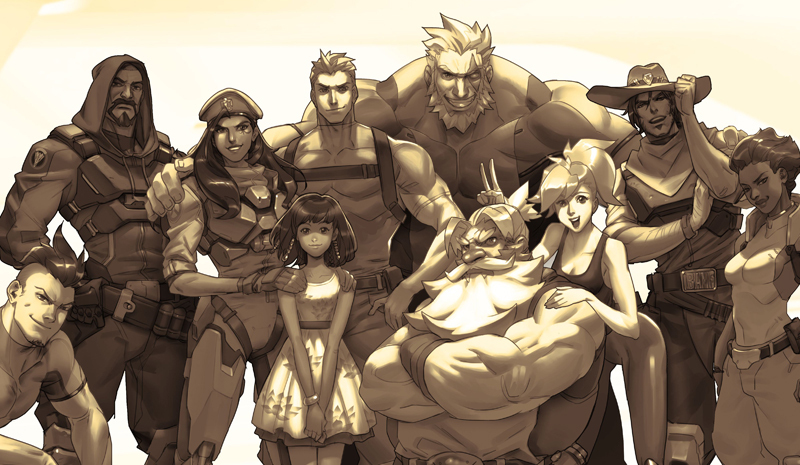 Ana Amari is the mother of Overwatch hero Fareeha Amari, better known as Pharah. 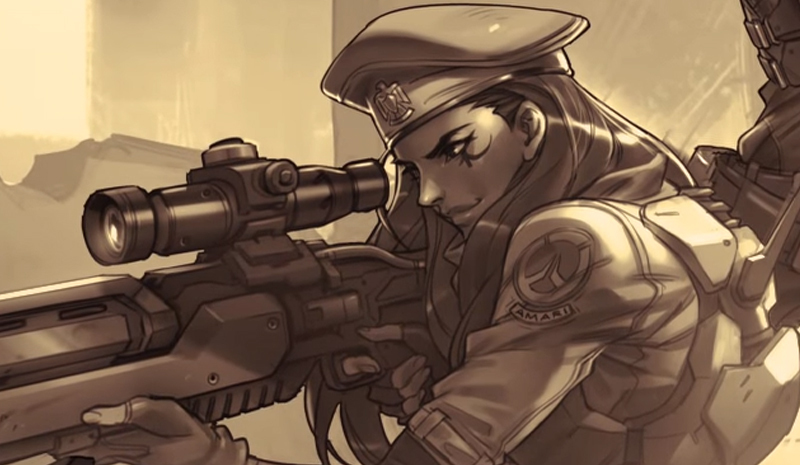 Unlike her daughter’s offense-based kit, Ana is more a support character – a support sniper, if you can imagine that hybrid role. She was mistaken for dead when a bullet hit her right eye, a shot from Widowmaker, from the origin video. Based on Pharah’s soundbytes when Soldier 76 talks about her mother, she isn’t that happy with their aborted relationship. How Pharah’s dialogue will change once Ana is implemented or how they interact in game are a few of the things we’re really excited to check out. In the meantime, here’s Ana’s origin video! 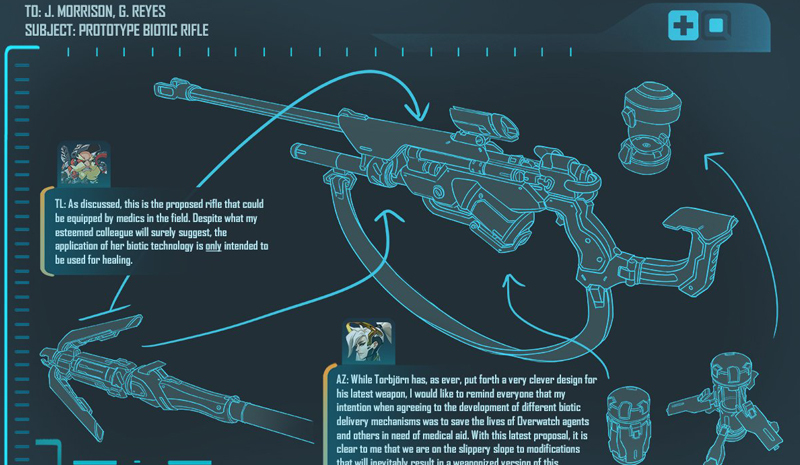 Ana’s main weapon is her Biotic Rifle, a long range weapon primarily used to deliver pinpoint heals to her teammates at the front lines. With a flick of a switch, the healing rounds can just as easily damage opponents. This flexibility allows teams to have a sniper and a healer to take up just one hero slot in the comp, giving them greater options. 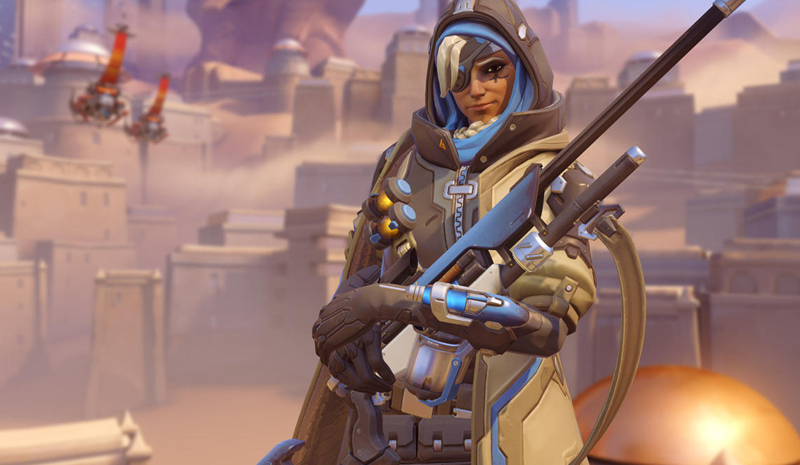 Because Ana’s main weapon is long-ranged, the rest of her abilities are more mid to short range to further help her and her team survive fights. She has a Sleep Dart that immediately puts enemy heroes to sleep for a short while, giving her greater defense against heroes with particularly devastating ultimate abilities, like McCree, Genji, and her own daughter Pharah. Her other ability is Biotic Grenade, a mid-range weapon that heals allies in an area of effect while damaging enemies. Allies affected by the Grenade receive increased benefits from other healing sources, while enemies affected by the bomb cannot be healed for a moment. Unlike Soldier 76’s Biotic Field, the Grenade is instantaneous and heals for a fixed amount. Her ultimate ability is Nano Boost. She hits one of her allies with the ability and temporarily increases speed, damage, and resistance to damage. Ana can definitely combo this ultimate with a Genji, Reaper, or a Pharah, greatly increasing their damage output and giving them enough survivability to actually have them finish their ults. Her passive seems to be a speed boost of some sort, giving her mobility to get to her teammates quickly for a Biotic Grenade and rush back to her sniping nest to countersnipe or continue her healing support. Check out Ana in action in the video below.